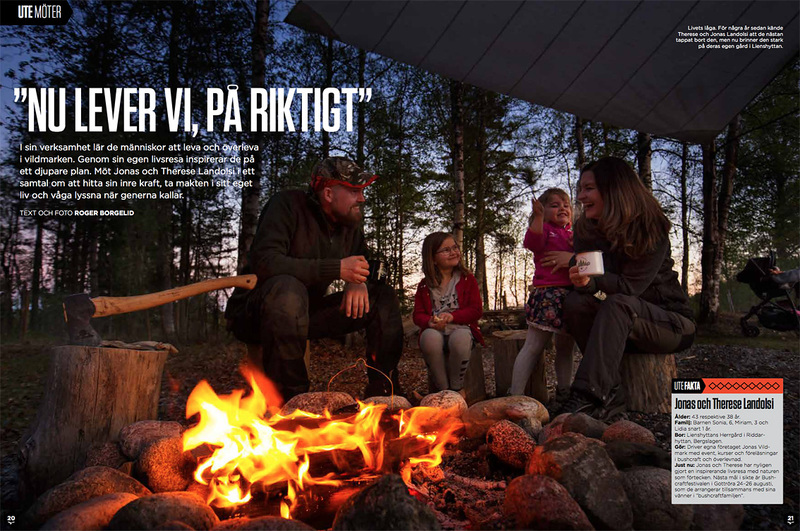 Inside the latest issue of Utemagasinet (No.6 - 2018) you can read a well made article by Mr Roger Borgelid about our family's and Jonas Vildmark's journey from the big city life to the homesteading country life. 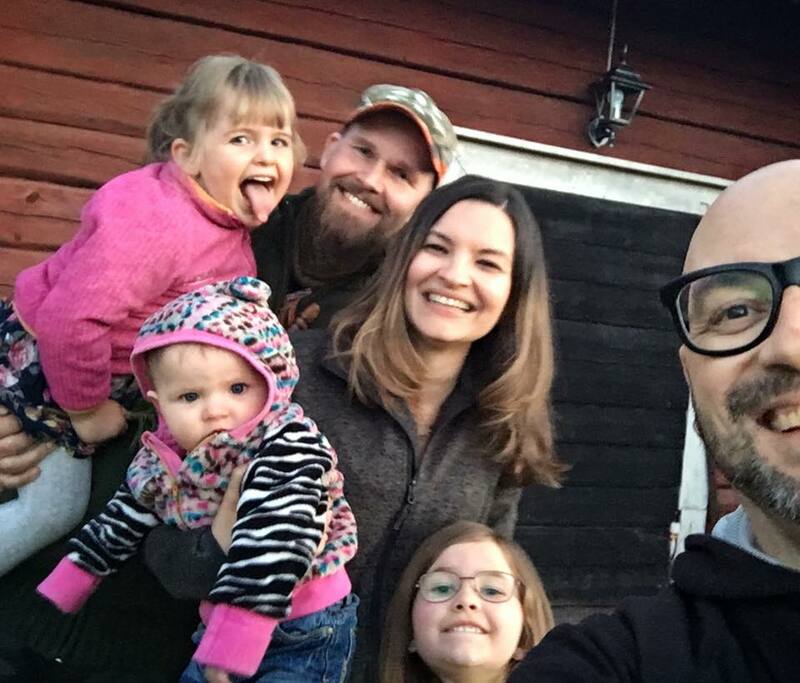 Today it's exactly 18 months since our truck pulled in onto the land of our new home here in Riddarhyttan. Back then we had; quit our posts in the Automotive Business and the Pharmaceutical Business, sold our apartment i Stockholm and chosen a new life inside the beautiful woods of Bergslagen and to go all in running our dear family business Jonas Vildmark. We are deeply grateful to be able to make this change together as a family and for how well everything has turned out. We want to take this opportunity to thank our new home village for your generosity, supporting family and friends and also say thank you to all new and old business partners for all the fantastic time we spend outdoors living and learning off the land. 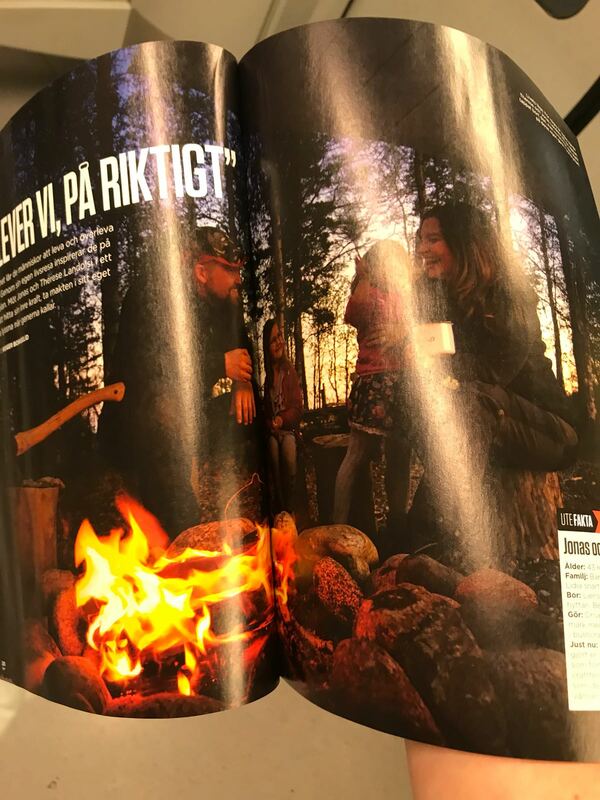 Inside this six pages long mag article you get to hear a bit about all the laughter and the challenges of this life journey and we hope Roger's nice words and beautiful pics will inspire you to follow your dream as well. We say Thank you to the Utemagasinet and Roger for taking the time to visit us and telling our story so warm-hearted. 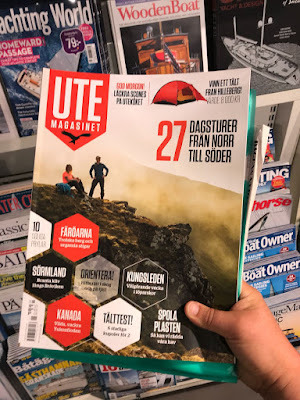 The magazine is now available in a store near you and please don't hesitate contacting us if you have any thoughts about Roger's article on us. The article can also be downloaded as a pdf by clicking HERE. 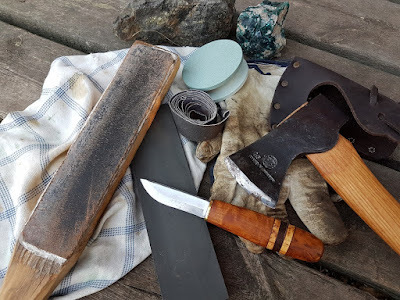 A subject close to my heart is edge tool maintenance and I hope more people will learn about taking care of their edge tools. When maintaining your knife and axe you build a nice bond between yourself and the tool. It's a nice feeling when your tool becomes an extension of your hand, and the hand an extension of your knowledge. To get this connection you need to spend lots of time together with your tool of choice. To enable this time spent you need to maintain your tool for it to last. With maintenance I mean; sharpening, cleaning and oiling. Just like the Musician an his instrument; you get better with your tool the more time you spend practicing. And if maintained correctly; the tool will produce better results. 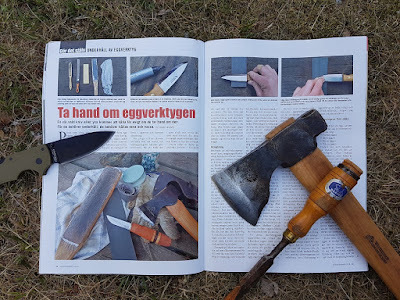 Another nice thing about taking care of your tools is the pleasant effects on the environment when enabling a long term ownership of the tool. Inside the latest issue of Vapentidningen, No.4 - 2018, you can read my latest mag article on edge tool maintenance, focusing on sharpening your knife using a bench stone. I hope you'll find the article interesting and useful. Please don't hesitate contacting us if you have any questions regarding edge tools or their maintenance. 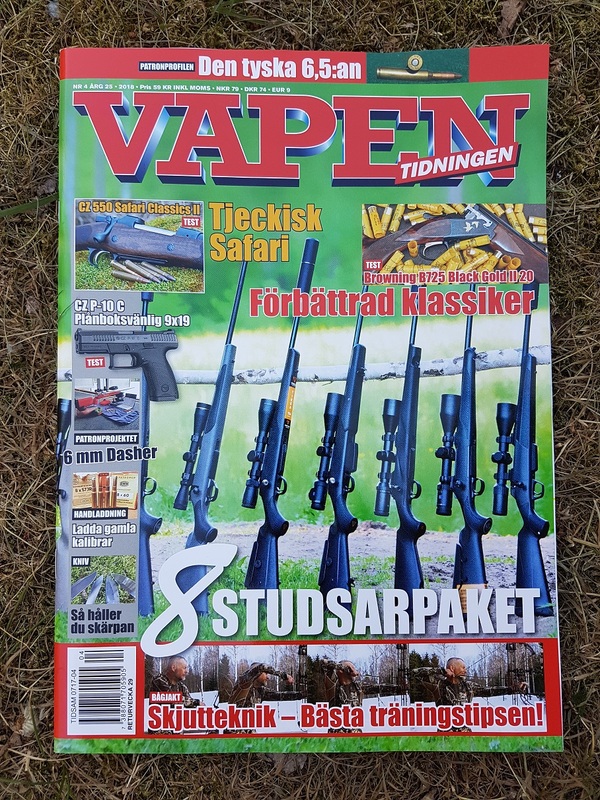 Other nice articles inside the same mag; Testing 8 different rifle kits (Johan Ljungné), CZ P-10 C (Henrik Kalling) and CZ 550 Safari Classics II (Johan Ljungné). To see my other articles published inside the Vapentidningen; click HERE. 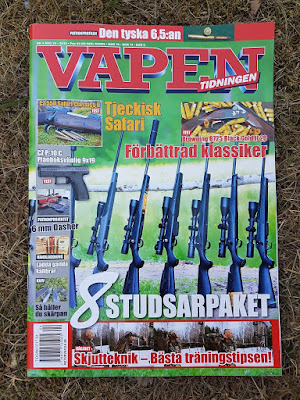 You can also order old mags or articles via the Vapentidningen website; click HERE. 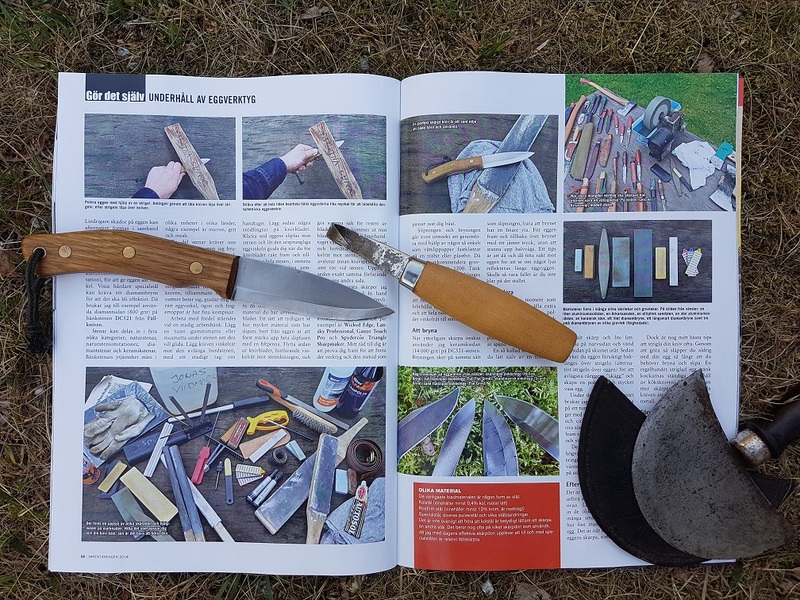 If you want to learn more about edge tools and maintenance; please check out Jonas Vildmark's courses on the subject by clicking HERE.